By helping block air infiltration—which means reducing dust, pollen, or other irritating and unhealthy pollutants that can get in—NCFI’s spray foam insulation represents the smartest choice for any home or building. An added benefit is also noise reduction, allowing for most homes and buildings to be the peaceful havens they were intended to be. 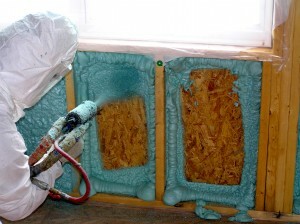 By having foam sprayed throughout your home or building, you’ll not only create an excellent air barrier, but an effective moisture barrier, too. This helps keep dangerous mold, mildew, and bacterial growth at bay, as increased rigidity will protect you from unhealthy environmental elements. Please note: by creating an air-tight building enclosure with spray foam insulation, indoor air pollutants can become an area of concern. NCFI recommends that homeowners work with their HVAC contractor to ensure the house is properly ventilated after an air-tight system is installed. For more information on ventilation after SPF installation, see our point paper on HVAC systems. 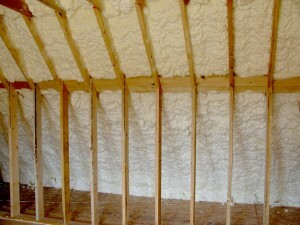 Spray foam insulation is a popular insulation system for homes and buildings because it can reduce a home’s energy consumption. But this goes hand-in-hand with a higher level of comfort, too. Spray foam insulation forms a sealed envelope around your home helping keep drafty air from penetrating your walls, as well as the nasty pollen, dust, and pollutants that can come in with it. By keeping your home cool in the summer and warm in the winter, spray foam insulation further reduces a home or building’s environmental footprint, all while providing the best protection and comfort for you and your family—or any building occupant. It’s a proven fact that by installing any of NCFI’s spray foam insulation solutions, you will instantly lower your energy bills. In fact, you’ll notice that your monthly energy bill is lower starting the first day you move into your new or newly renovated home or building. Ultimately, this spray foam envelope helps seal your home from the elements, so you’ll stay warmer in the winter and cooler in the summer—and that can happen with a smaller heating and air conditioning system, too. 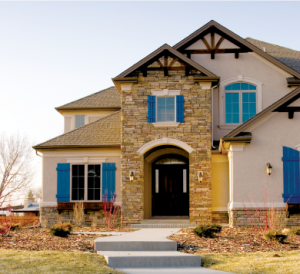 Even before a move-in, you’ll save on the cost of construction by specifying one of our spray foam insulation systems. How? 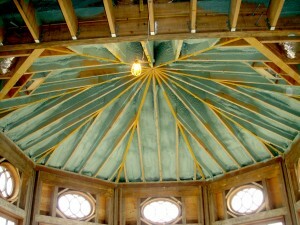 For one thing, you can encapsulate your entire exterior shell with spray polyurethane. In effect, this creates conditioned space everywhere; in a home this includes attics, basements, and crawl spaces. When ductwork is run through these areas, it is kept within conditioned space, substantially increasing your energy efficiency. This reduces energy loss from recessed lights and drop ceilings while minimizing any chance of frozen pipes in colder climates. Lastly, since spray foam insulation will conform to any size or shape cavity, bay windows, oval windows, angled walls, curved ceilings, or any other unusual framing designs can be as well-insulated and tightly sealed as the uniformly spaced stud walls. This adds more actual living space to a home, and provides the flexibility for an energy-efficient design.